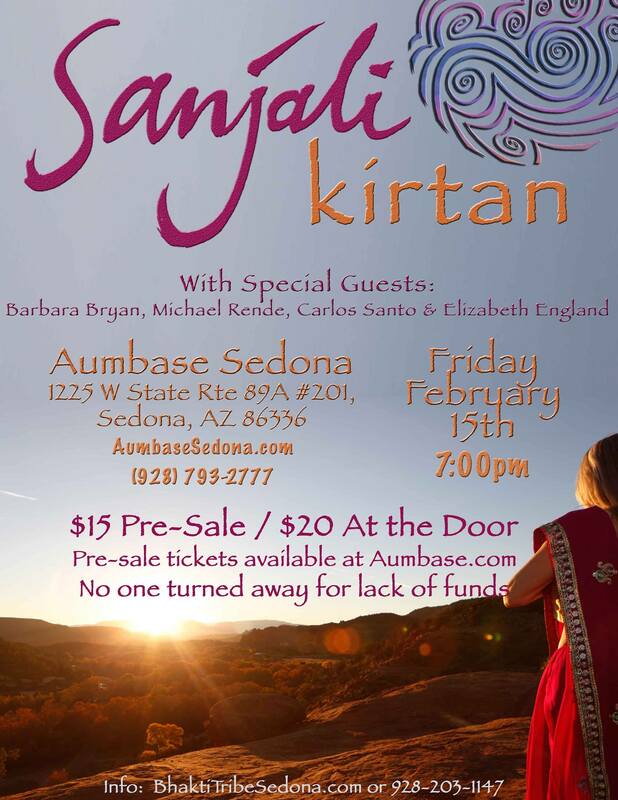 Special Events… Pop Up Yoga Classes, Sound Healing, Kirtans, Retreats, and Trainings with visiting and local yoga luminaries at Aumbase Sedona. 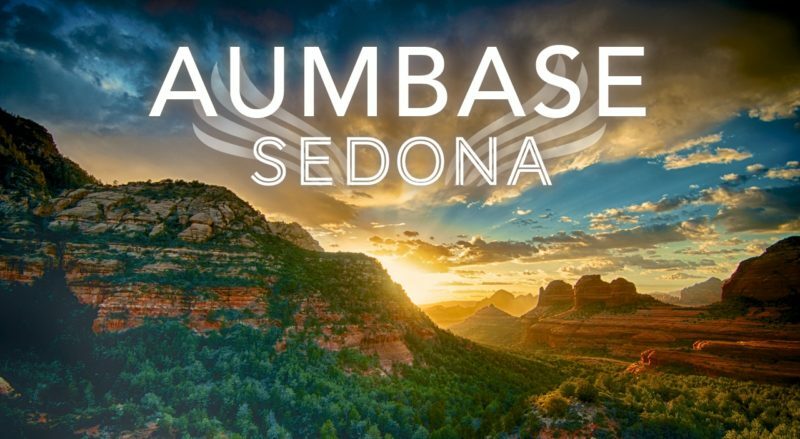 Download the app or sign up for the mailing list to be the first to know about special events at Aumabse Sedona! special instructions: Bring WATER. 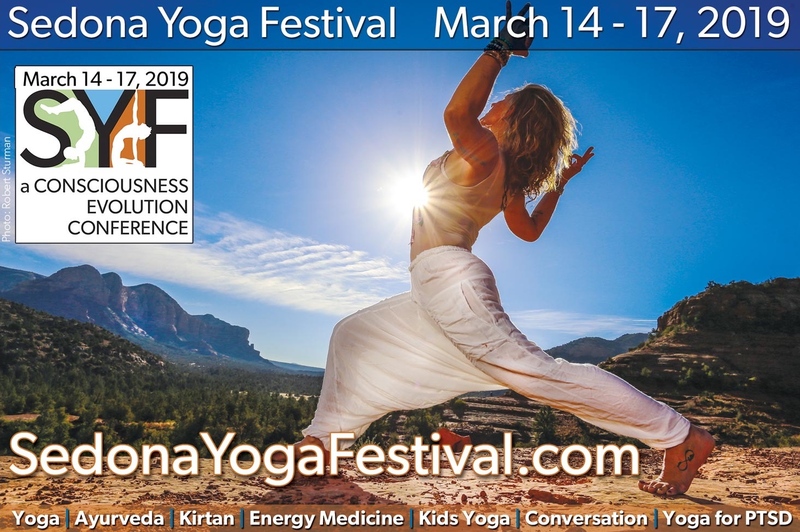 Please note, we will carpool the 2 minutes from Aumbase Sedona to the trailhead – will you be the one with room in your car? You must book ahead online as we will depart immediately to hike to our destination for a morning practice. 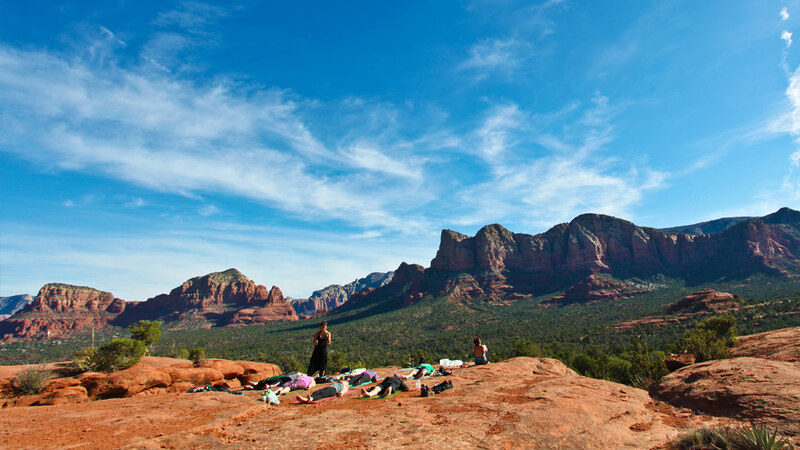 The weekly Meditation Monday gathering is free, open to the public, and sponsored by the Sedona International City of Peace (SICOP), the Mental Health Coalition Verde Valley, Aumbase Sedona, and Spectrum Health Care Group. Meditation Monday brings together individuals to experience different meditation practices as a community, rather than as an individual, to positively improve physical and mental wellness in our community. Celebrate breath, life and sound with Sukha. We will gently move the body and explore kundalini meditation and we will chant sacred mantras from the Kundalini and other traditions. 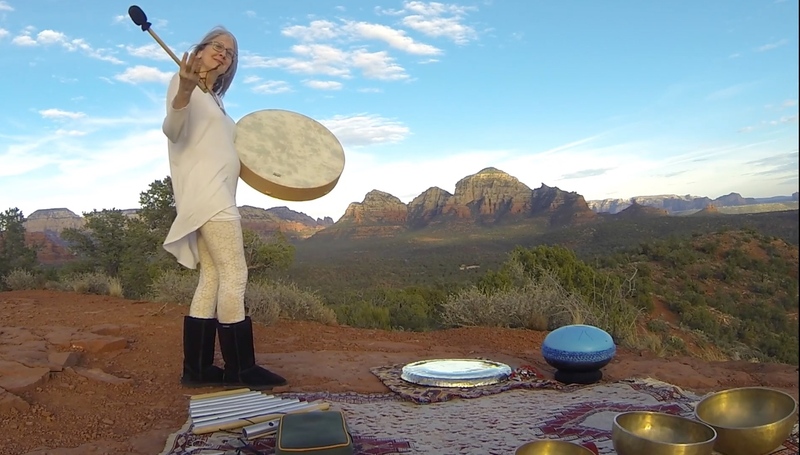 A soundbath with gong and singing bowls will help you integrate the vibrations from the night. Sukha is a mantra band from Los Angeles California. 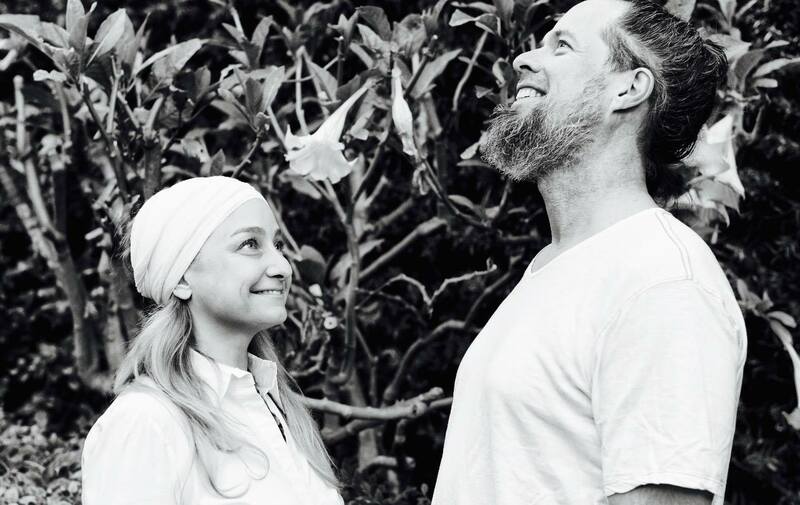 They use mantras from many different traditions in order to facilitate the union of hearts, minds, and spirits with the infinite & truth.They play their original style of mantra music internationally at Music and Yoga Festivals as well as at Sukhmani’s weekly Kundalini Yoga Classes in SoCal. The name (Sukha) means happiness, ease or bliss in Sanskrit. ***NOTE: Please wear loose, comfortable clothing. Please bring a yoga mat or sleeping bag if you have one. If you don’t have your own yoga mat, there will be some available to use at the studio. The studio also has blankets, bolsters, and cushions. It’s preferable not to eat for an hour prior. We will provide eye masks or you can bring your own. Sanjali means with hands hallowed and joined in prayer. We invite you to join us as we sing praises and prayers to the divine. 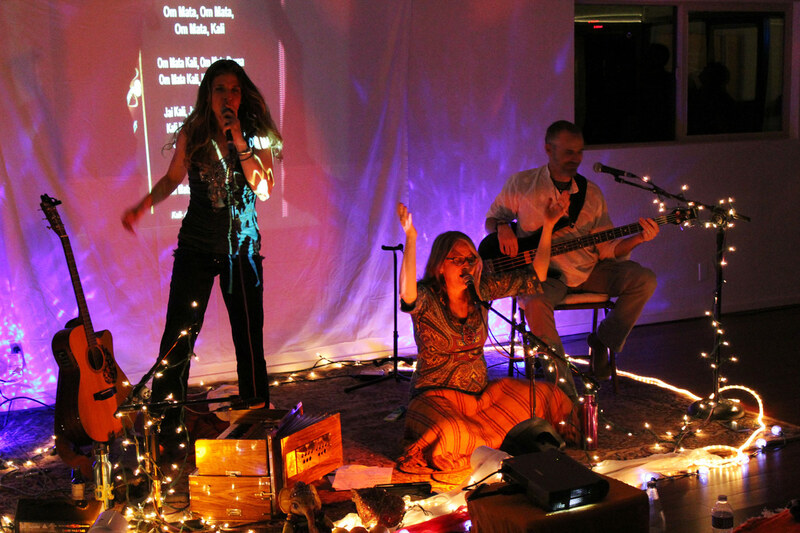 We offer a modern mixture of sacred songs, bajans and kirtan to ignite our heart flames and lift our spirits. Join Valerie Sanjali Irons along with Barbara Bryan, Michael Rende, Carlos Santo and Elizabeth England in this offering of song and prayer. Shop till you drop then Buti till your heart is full! 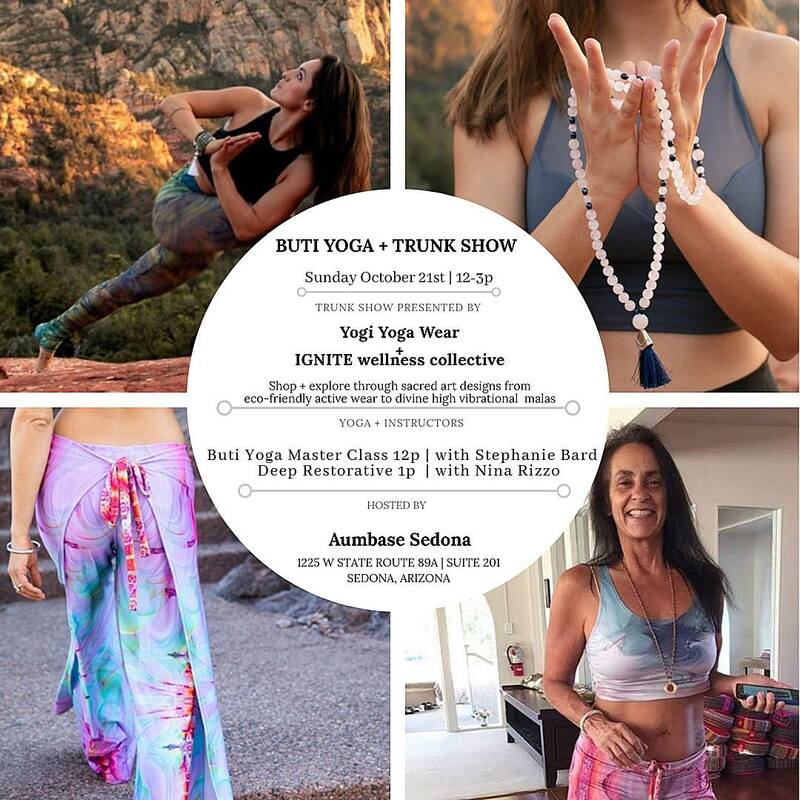 Yogi Yoga Wear & IGNITE wellness collective join forces with Aumbase Sedona Yoga to present an afternoon of connection + movement! Master Trainer Stephanie Bard joins us from Zen Soul Studio in Scottsdale and will be working up a sweat for you with as she brings you 45 minutes of Buti Yoga. Followed by a spin on a restorative yoga class called, Buti DEEP Restorative giving you the chance to wind down in a deep way, with Nina Joy Rizzo. Both classes are 45 minutes and geared towards all levels- we encourage newbies + beginners + yogis of all levels to join us! Buti Yoga is a fusion of primal movement, tribal dance and plyometrics blended into a calorie scorching yoga practice. Bizzie Gold’s Spiral Structure Technique sculpts + tones deep abdominal muscles which strengthen and tone the body. This practice is transformational from the inside out! DEEP is restorative movement sequence that utilizes the Spiral Structure Technique® to connect mind to muscle and catalyze vibrational change on a cellular level. DEEP is low-impact and focuses on micro-movements with physical touch to connect the brain to innervated muscle and restructure the deep core. This practice is designed to prevent injury, restore innervation and assist in the recovery of bladder/ uterine prolapse and diastasis recti. The class structure also includes self-massage and pressure point activation to release muscles during deep restorative asanas. 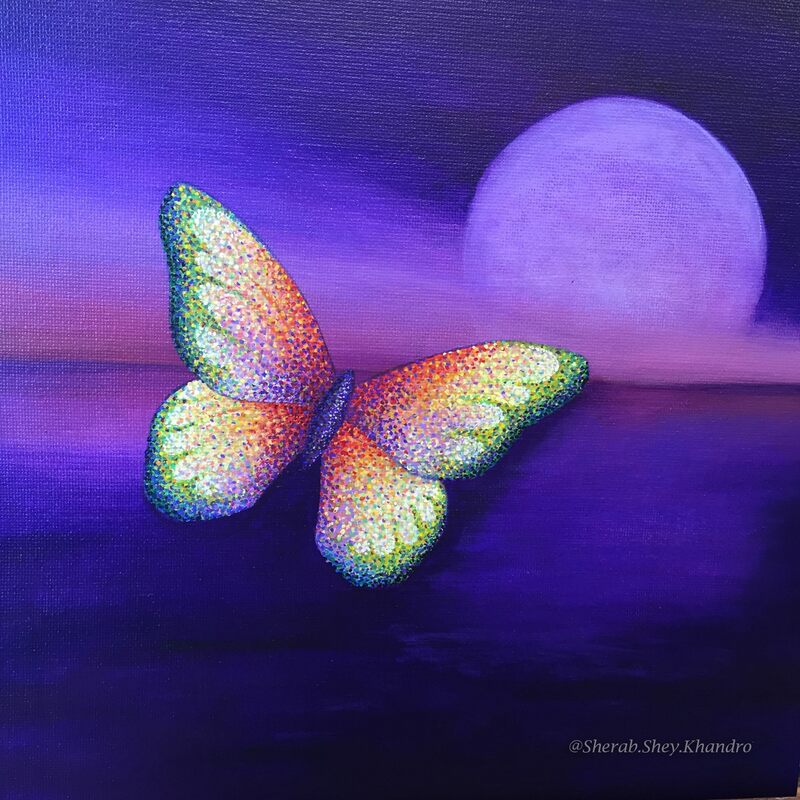 A Sedona based, eco-friendly + yogi approved clothing line that specializes in showcasing prints of geometry and fractal art. The creator and artist, Nina Joy Rizzo, puts her heart and soul into each design then brilliantly places them onto soft, breathable and comfortable yoga apparel that is partially made of recycled plastic! Fall in love with the healing stones + sacred, intentional jewelry that Ignite has to offer. Explore through traditional hand knotted Japa Malas, modern stretchy cord Malas, Trinity Bracelet Combos, Mix + Match Bracelets, Men’s Sacred Jewelry, High Vibe Hoops + more! Each piece is uniquely hand crafted with vibrational gemstones that help tap into your higher self + elevate your spirit. The designer, Stephanie Bard, also specializes in custom orders allowing you to create the perfect Mala that will feed your soul! Experience the confluence of movement and sound, of flow and vibration. Yin Yoga is designed to open the body up, peeling away layers of stress, injury, and tension that reside within. As we relax into our practice, Yolanda will offer energy attunements and clearing visualizations as additional therapeutic tools to increase healing, receptivity and deeper relaxation into restorative poses, held for a longer time. Throughout the class, sound healer Mark Biehl will be offering calming sounds of Tibetan singing bowls, flute, and voice to relax us even deeper into the poses with ease. 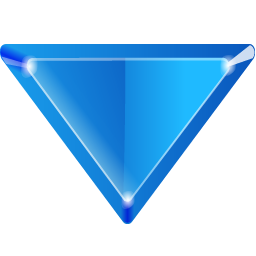 Receive the incredible activation and rebalancing of your chakras. Surrender to a full hour of sound immersion, allowing the vibrations to gently align and reawaken you. Sanctuary is a deeply relaxing and mentally uplifting experience featuring the sounds and vibrations of Tibetan singing bowls, gongs, chimes, and indigenous flutes. Also featuring Breathwork, Guided Imagery, and Group Chanting, to enhance and direct your experience to a higher level. We have all listened to a song or musical work that has evoked emotions in us of joy, sorrow, excitement, loneliness, peacefulness and even love. Memories of past events in our lives can also be triggered by and associated with a particular song. Yet, few of us realize that music, or the sounds and vibrations that form its foundation, can have far reaching effects on our physical and mental well-being. The applied use of sound and vibration as a therapeutic tool can produce many positive benefits such as stress reduction, deep relaxation, and balancing of mind, body and spirit. It can also effectively induce a meditative state. Welcome to SANCTUARY, a complete immersion into the world of sound and vibration that will gently guide you into a state of heightened awareness and lasting tranquility. 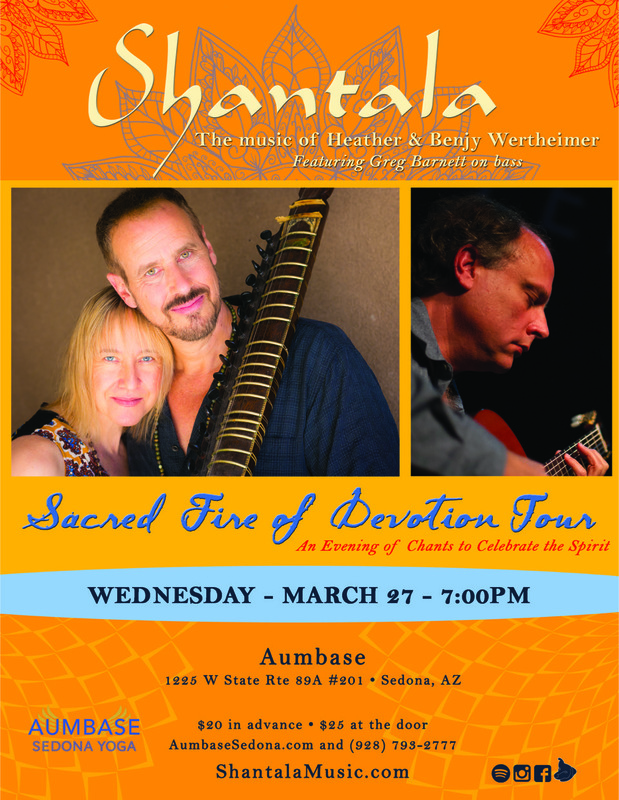 Mark Biehl hosts this blissful journey of Tibetan singing bowls, gongs, chimes, and indigenous flutes. 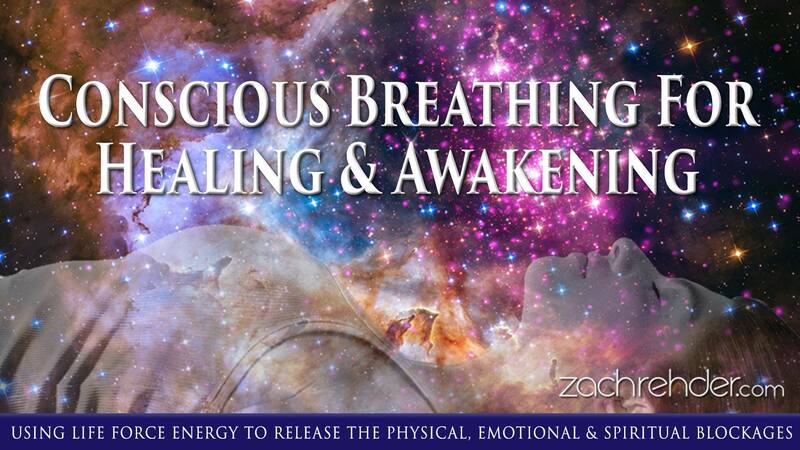 Also featuring Breathwork, Guided Imagery, and Group Chanting to enhance and direct your experience to a higher level. Let SANCTUARY be your ideal refuge for a more focused, peaceful and balanced life. $25 per person if you book ahead online. $30 day of the event.